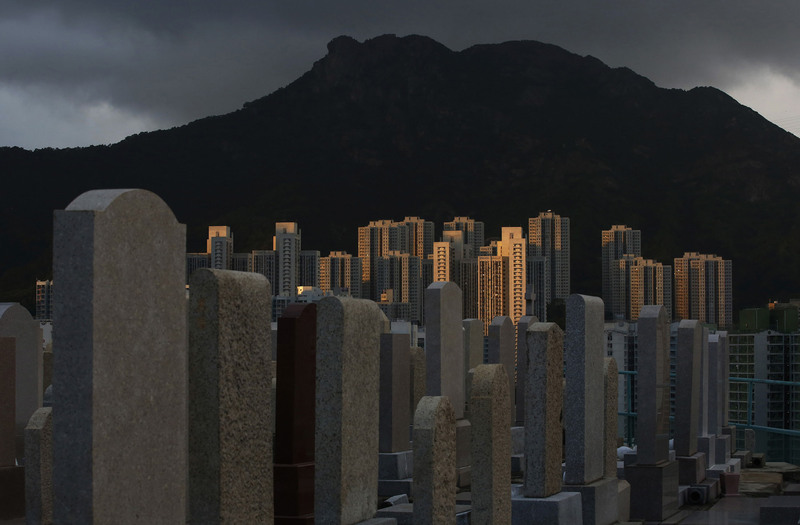 2015 《Both the living and the dead are facing a shortage of space in Hong Kong》 《生者與死者均受香港狹小空間困擾》 九龍城山邊墳場一景。 Graves cover a hillside next to apartment buildings at a cemetery in Kowloon City district. 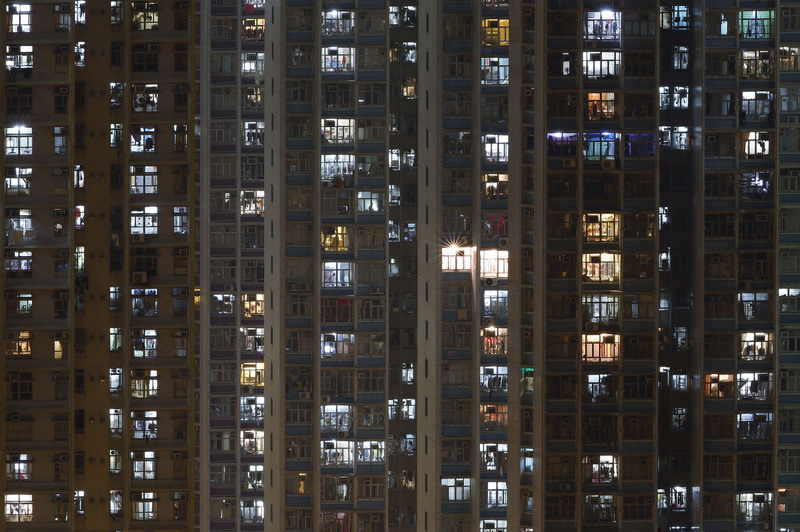 住屋一景。 A general view of apartment buildings. 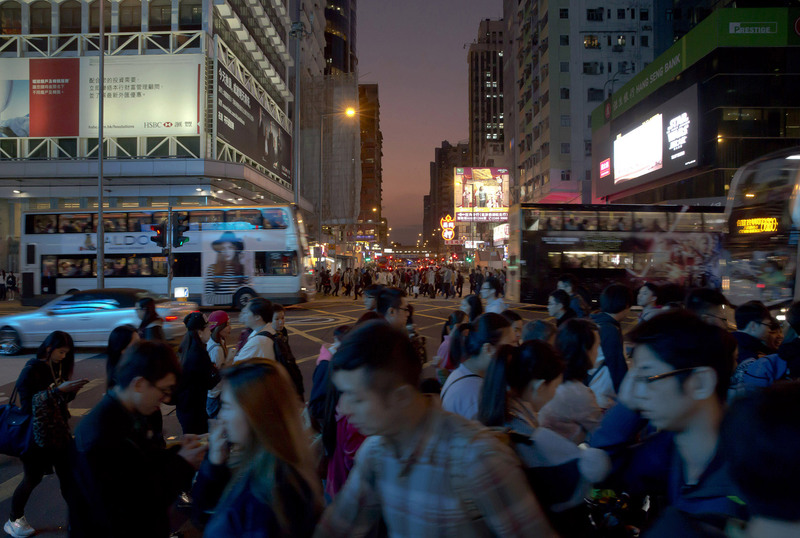 全港最擠迫區域：旺角的行人。 Pedestrians cross the street in Mong Kok, one of the most crowded districts. 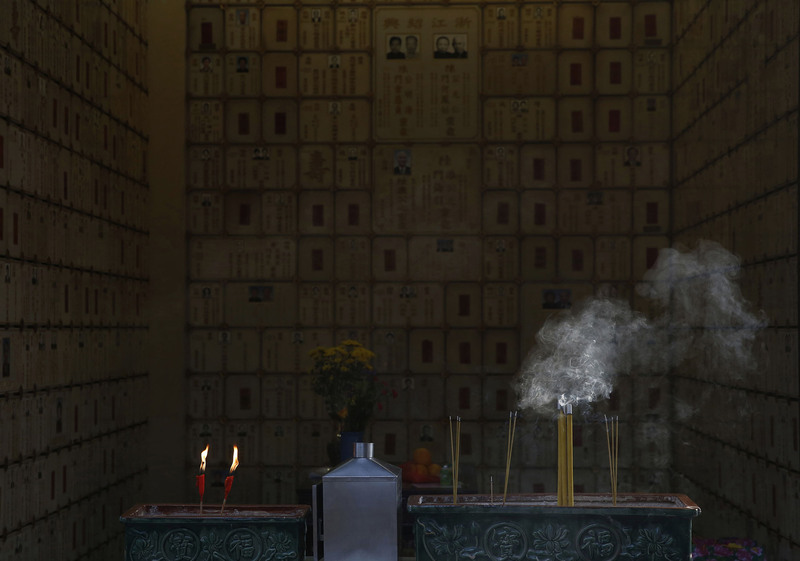 在私人骨灰場上香。 Incense sticks are burn to dead ancestors with a wall of niches for cremated remains in the background at a private columbarium. 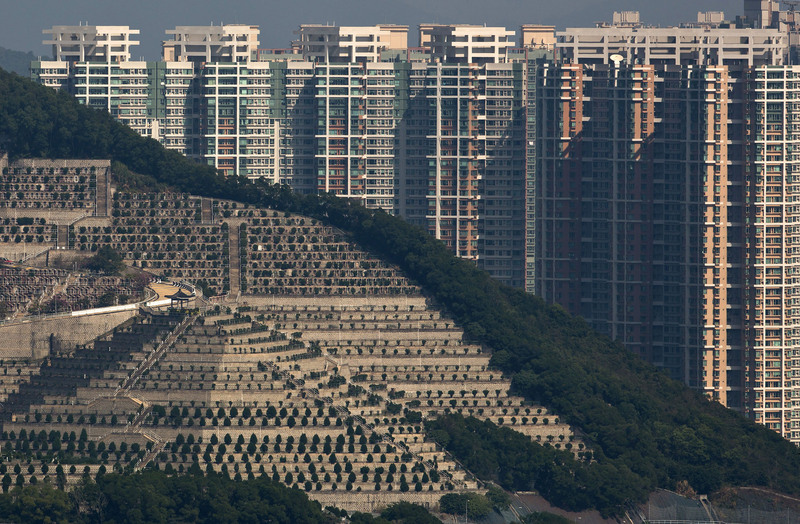 墳與樓相映成趣。 Graves cover a hillside in front of apartment buildings in Hong Kong. 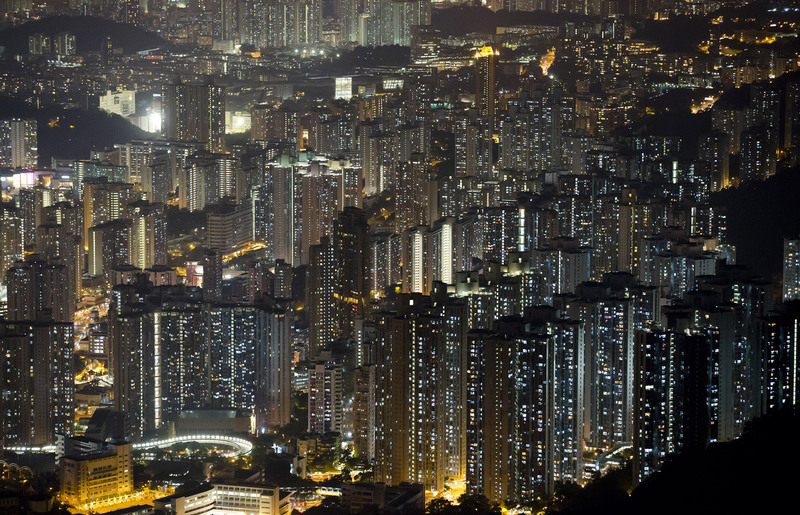 住屋一景。 A general view of an apartment building in Hong Kong. 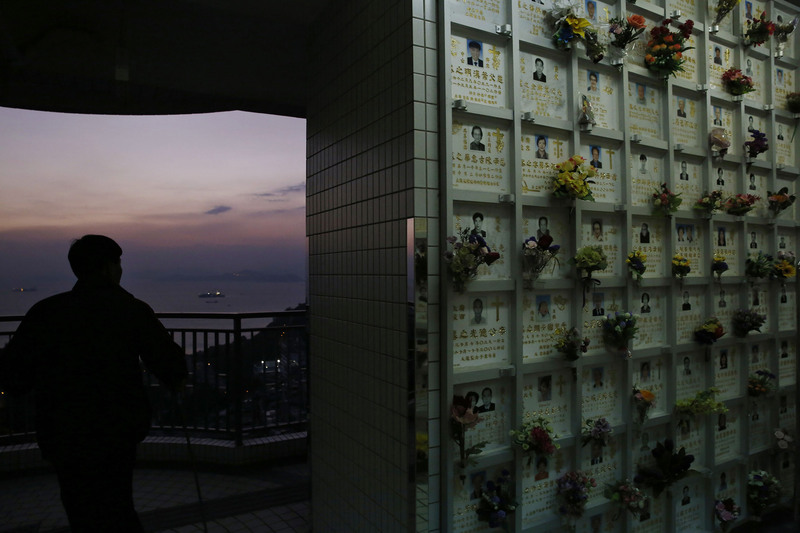 公眾骨灰場靈位。 Boxes of storage with niches for cremated remains are seen at a public columbarium. 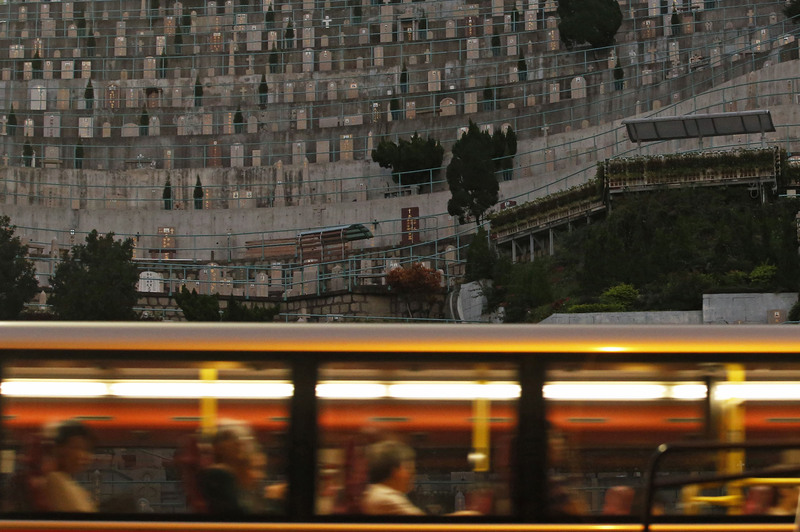 巴士駛過九龍城一個墳場。 A bus drives past a cemetery in Kowloon City district. 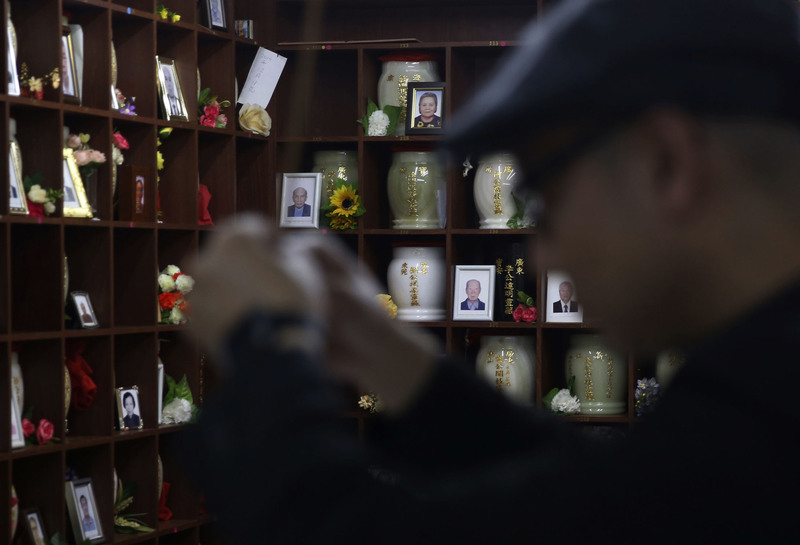 殯儀店老闆在暫時存放骨灰位前點香。 A funeral shop owner holds incense sticks at a funeral parlor, with a wall of temporary storage niches for cremated remains in the background. 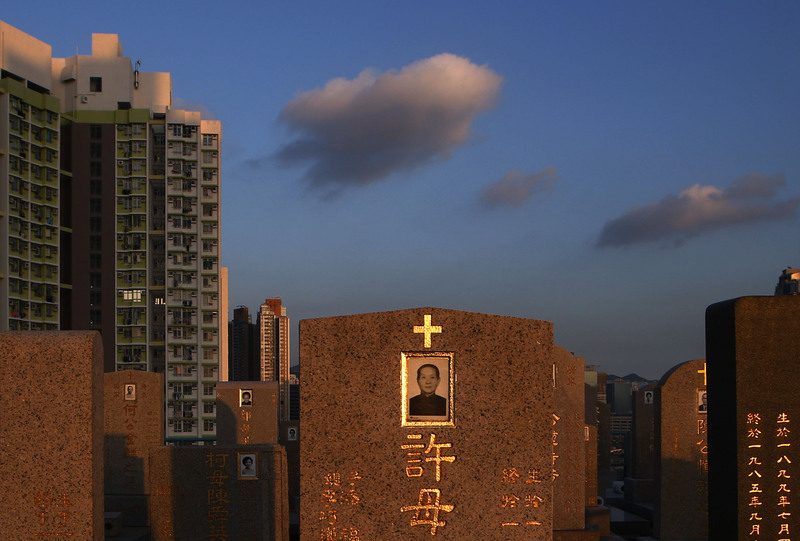 九龍城住屋前的墓碑。 Graves are seen next to apartment buildings at a cemetery in Kowloon City district. 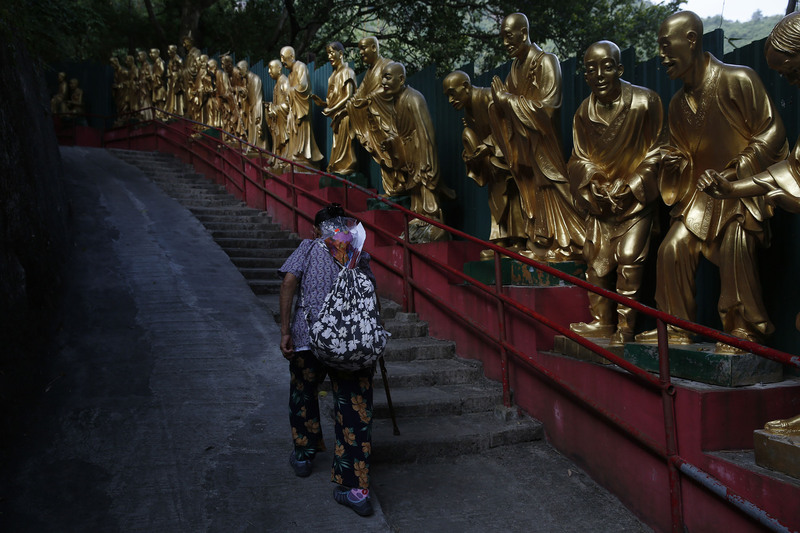 婦人沿路上沙田萬佛寺。該處被政府指為120 個非法骨灰場之一。 An elderly woman walks up a staircase at Ten Thousand Buddhas Monastery in Shatin., a Hong Kong temple and tourist attraction that houses one of the more than 120 columbariums that the government has deemed illegal because they violate planning and land-use regulations. 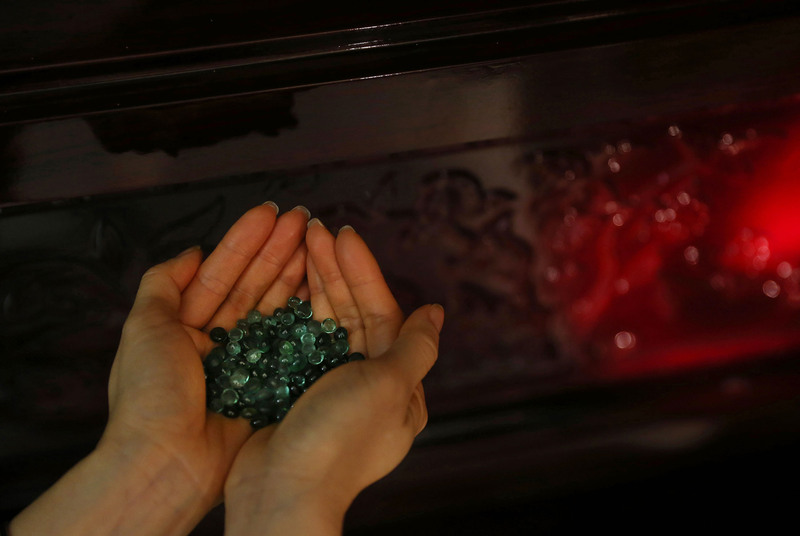 一名殯儀店服務員展示由骨灰製成的紀念珠。 A sales director at a funeral services displays some crystallized beads created from cremated ashes that can be used to make memorial gems. 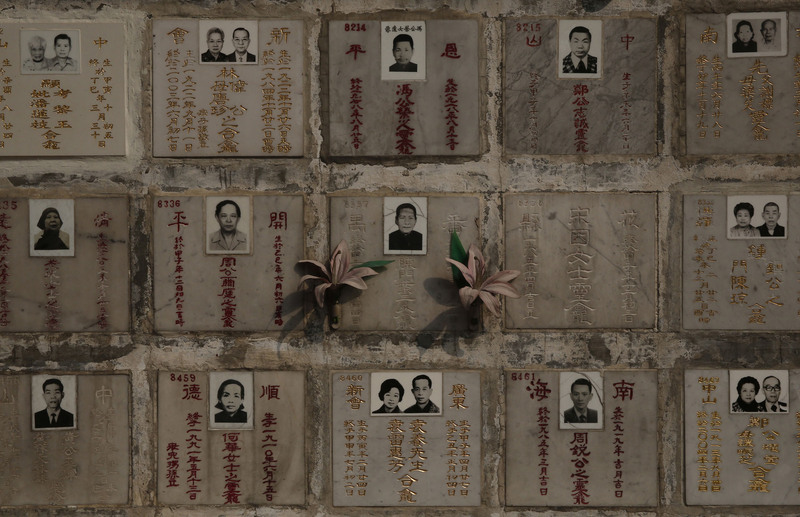 一名男子走過公眾骨灰場內一幅安放骨灰的牆壁。 A man walks past a wall of niches for cremated remains in the background at a public columbarium. 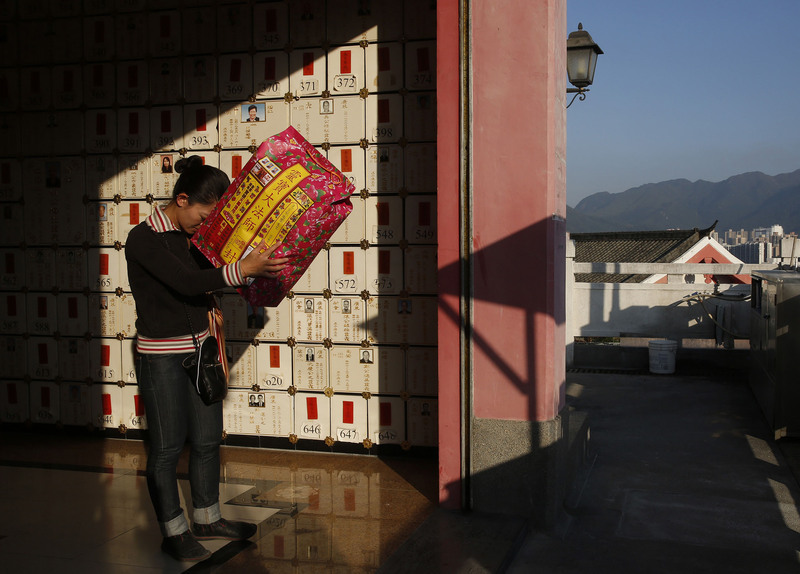 一名婦人在燒紙錢之前，為離世父親禱告。 A woman prays as she holds a package of paper money intended to be burned as offerings to her dead father. 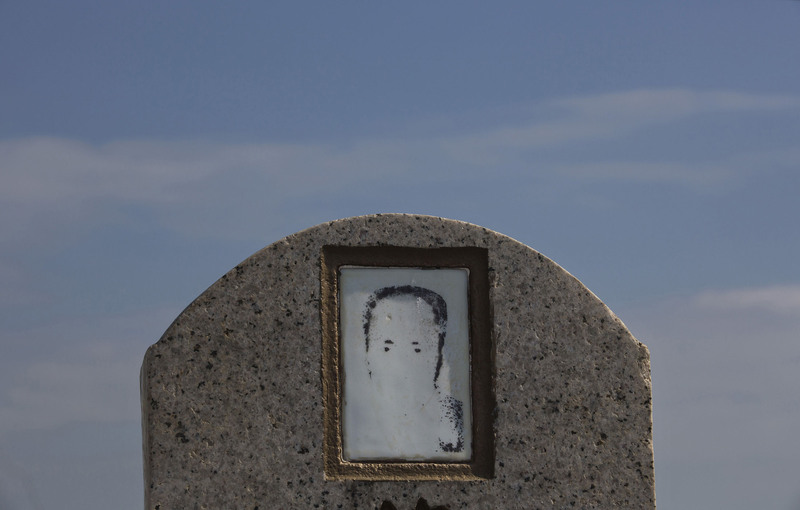 九龍城墳場內一張淡化的照片。 A fading portrait is seen on a grave stone at a cemetery in Kowloon City district.